As promised, here is another trash the dress session. Lisette, one of the photographers I was shooting with, decided to put her wedding dress and get behind the camera for some shots around Little Five Points. 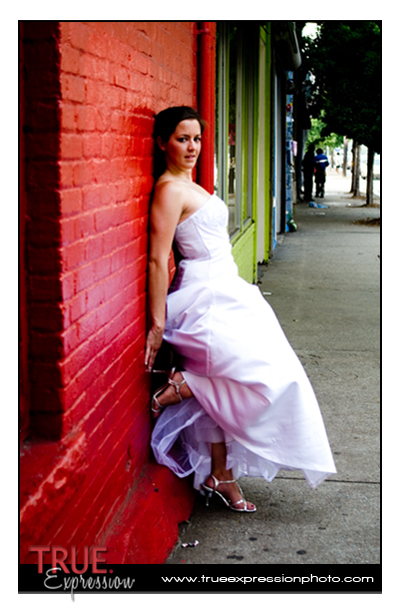 Walking around Little Five Points with three brides, we definitely attracted some attention! We found a lot of interesting spots to shoot, with some really unique backgrounds. Enjoy! Oh how rough I looked after shooting all day! Next time I'm going to do one or the other..lol You did a great job on these and it was so nice meeting you! 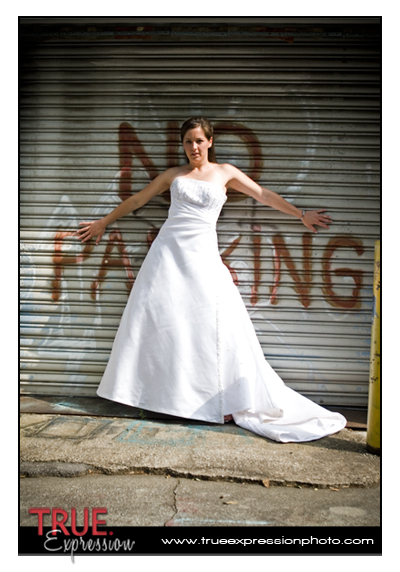 That is truly a unique idea for a wedding dress photo shoot. 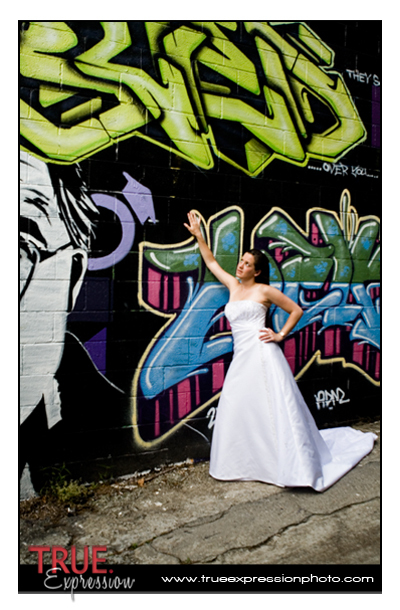 The white dresses just stand out that much more against the graffitied walls. It's very urban meets chic. Good job ladies!